Three other spp. are merely casual with us. A. leptophyllum (Pers.) F. Muell., of trop. and subtrop. Amer., is an annual with filiform lf-segments. 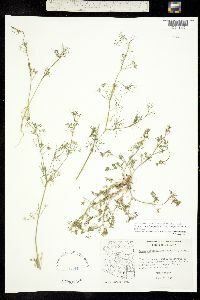 A. repens (Jacq.) Lag. and A. nodiflorum (L.) Lag. are Mediterranean rhizomatous perennials. The former has a well developed involucre, the latter does not.